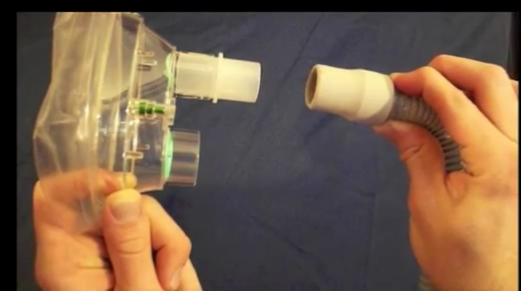 How does the mask attach to the breather hose? New Mask cou­pling has a white insert into the mask. If you have a mask that does not require a cou­pling, it should slide on to the breather hose direct­ly with lit­tle effort. 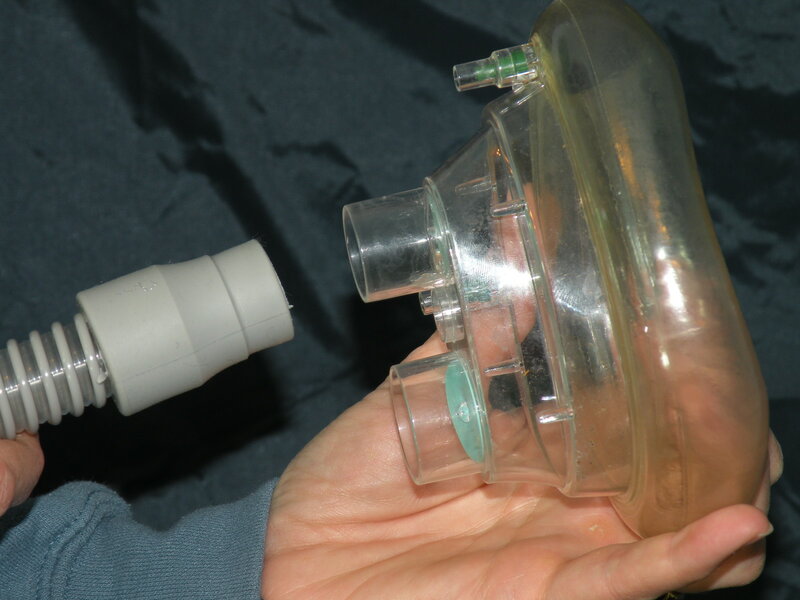 If you are unable to cou­ple the mask eas­i­ly with the breather hose, then it is like­ly that your mask requires a cou­pling that should have been pro­vid­ed with your mask assem­bly. Old mask cou­pling. The size of the mask noz­zle is small­er so the hose fits direct­ly over it.